With summer just a few months away, Amazon has shrunk the prices of a rich assortment of intelligent and programmable Ninja coffee makers. Every season is a coffee season, but spring is an especially auspicious time of the year to upgrade your tired coffee maker. Buy a new Ninja coffee maker now, and you’ll have plenty of time before summer to practice brewing custom hot and cold drinks. We’ve found the best deals on Ninja coffee makers from Amazon, with a range of features and prices, and put them all in one place. 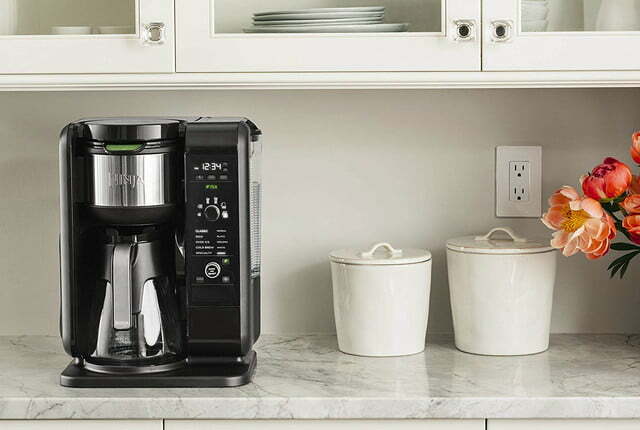 Whether you’re shopping for a coffee maker for yourself or for a gift that’s sure to be appreciated, these four deals can help you save up to $58. 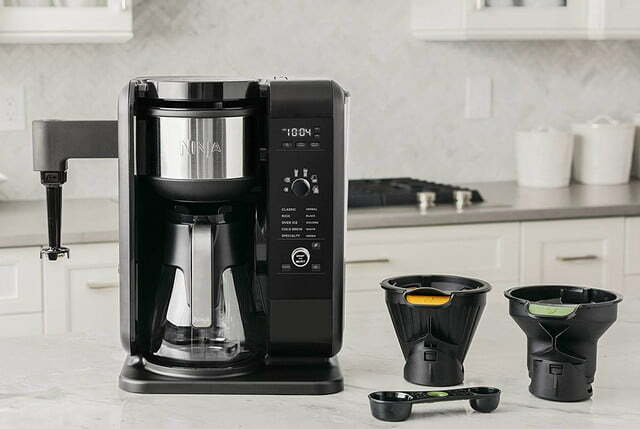 The Ninja Coffee Bar Auto-iQ Programmable coffee maker allows you to brew a single cup pod-free or set the Coffee Bar to dispense an extra-large cup, travel mug, extra-large multiples, half carafe, or full carafe of coffee. With each size, you have a choice of classic, rich over-ice, or signature specialty brews. The Coffee Bar also has a built-in milk frother so you can create complete coffee drinks with a single machine. 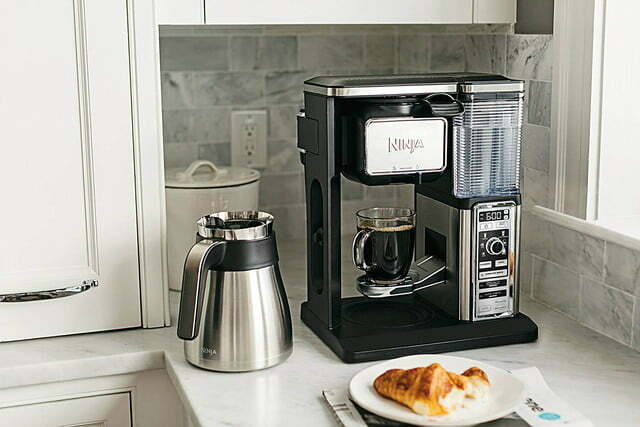 Usually $230, the Ninja Coffee Bar Auto-iQ Programmable Coffee Maker is only $172 for this sale, the largest savings we found on a Ninja coffee maker. If you’re looking for a versatile coffee maker with all you need for serving lattes and cappuccinos, this is an excellent deal. 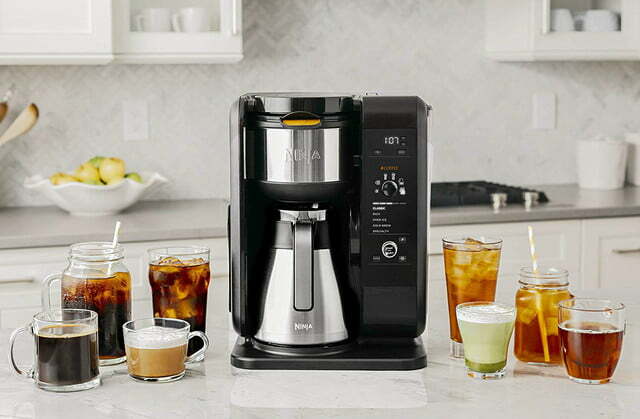 The Ninja Hot and Cold Brewed System, Auto-iQ Tea and Coffee Maker with Glass Carafe is identical to the Ninja model just below, except this model comes with a glass carafe and a sale price that’s $20 lower. 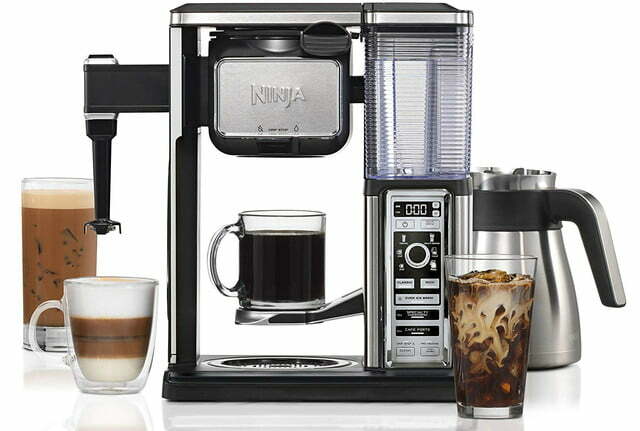 The two Ninja hot and cold systems can create hot and over-ice brews in six sizes and five styles. It also has a built-in milk frother for one-button convenience. A special basket for tea works with both loose tea leaves and tea bags. 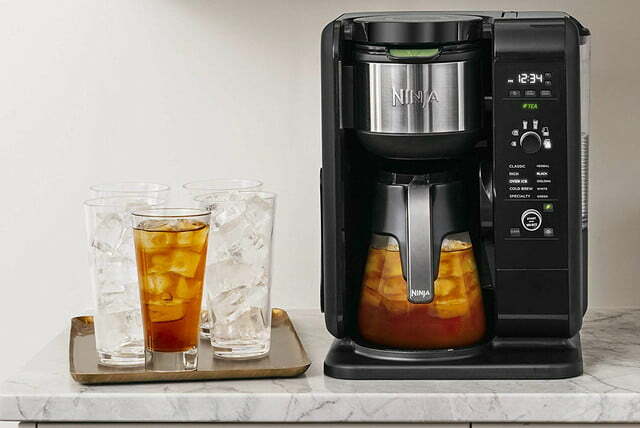 Normally priced at $200, the Ninja Hot and Cold Brewed System with Glass Carafe, Auto-iQ Tea and Coffee Maker is cut to $160 for this sale. If you’re looking for a versatile coffee maker with a frother that can also brew tea, this is a compelling bargain. 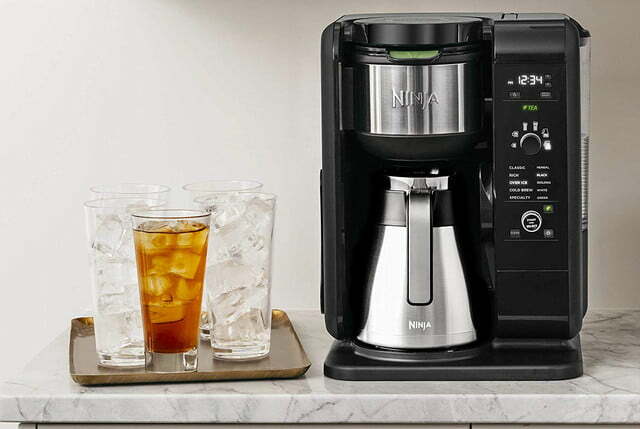 The Ninja Hot and Cold Brewed System, Auto-iQ Tea and Coffee Maker with Thermal Carafe shares the functional features of the model above but substitutes a thermal carafe for the previous model’s glass version. Both models have an intelligent warming plate to keep brewed coffee hot, but the thermal carafe maintains drinking temperature for hours even when it’s not on the plate. 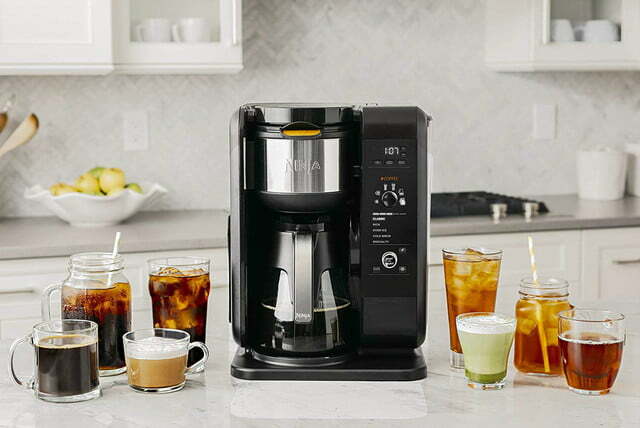 Ordinarily $230, the Ninja Hot and Cold Brewed System, Auto-iQ Tea and Coffee Maker with Thermal Carafe is $180 during this sale. If you want a loaded system for hot and cold coffee and tea with a handy milk frother and the added convenience of a thermal carafe, take this opportunity to save. 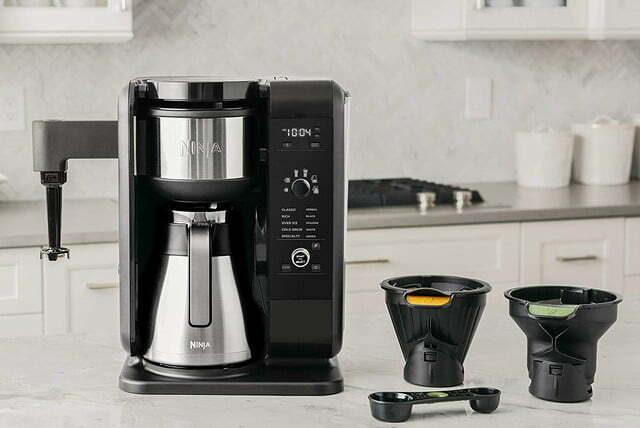 The Ninja 12-Cup Programmable Coffee Maker may be the most basic of the four models on sale, but that doesn’t mean it lacks in any way. This programmable device draws from a 60-ounce water reservoir and uses Ninja’s Thermal Flavor Extraction technology for the best coffee. You can brew a small one-to-four cup batch of coffee or the Ninja’s full 12-cup capacity in either classic or rich flavors. 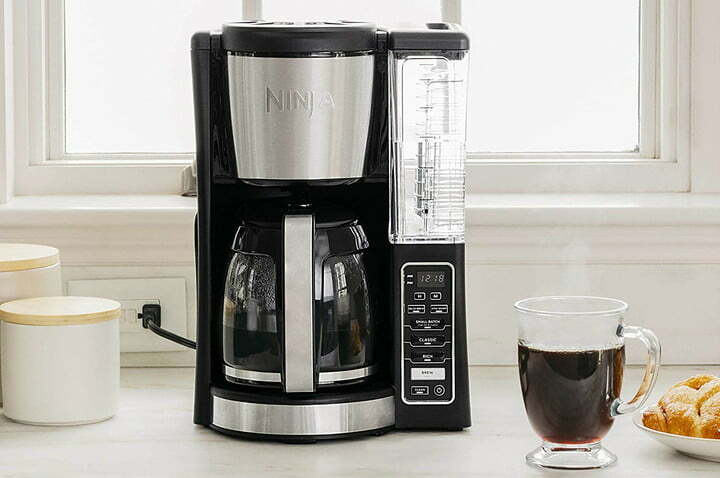 Normally priced at $100, the Ninja 12-Cup Programmable Coffee Maker is cut to $80 for this sale. If you’re looking for a high-quality coffee maker without spending hundreds for features you’ll never use, this is a great opportunity to take advantage of this attractive price.